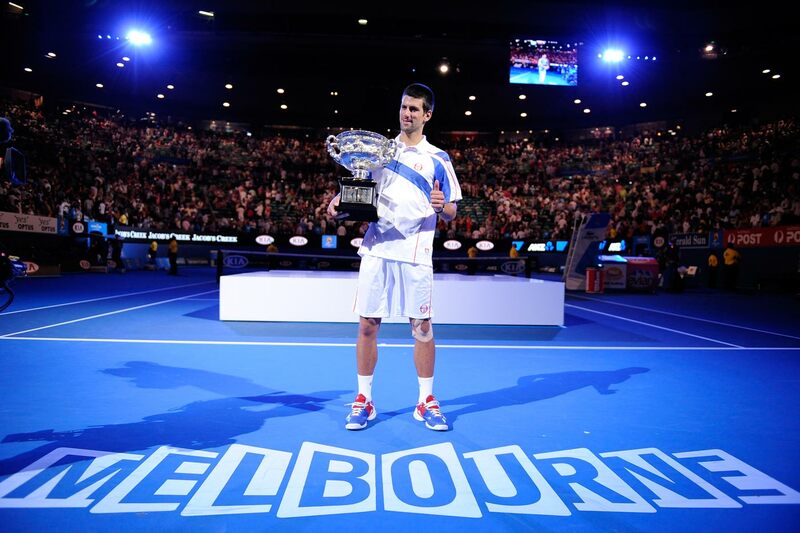 Novak Djokovic was the star on a prized Sunday as he beat Andy Murray in straight sets to claim his second Grand Slam and Australian Open title.On a perfect day for tennis at the Melbourne Park there was nothing to stop the Serbian to let go an awesome day out of his hands. Novak Djokovic gave his old friend a sympathetic hug and a few consoling words, then got on with the real celebrations. "I understand how he feels; it's his third [grand slam] final and he didn't get the title, so it's a tough one," the world No3 said. 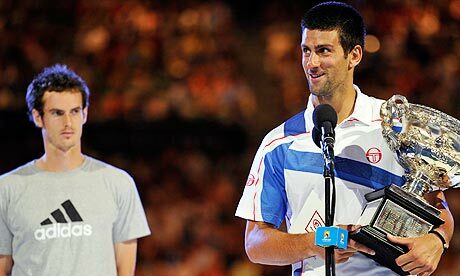 "But I really have big respect for him and his game because I think he has everything it takes to become a grand slam champion. I'm sure that very soon he will be." 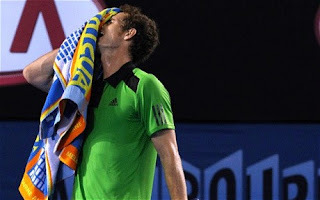 The Serbian had a totally one sided affair with the British as he went on to beat pretty convincingly 6-4,6-2,6-3, leaving nothing for Murray to make his point in front of a totally pumped up Djokovic. Andy Murray through out the match could not lift up his game, never been upto his fiery level, hence letting Djokovic taking full advantage of it , at went on being the happiest man at the Centre Court i.e Rod Laver Arena on Sunday. 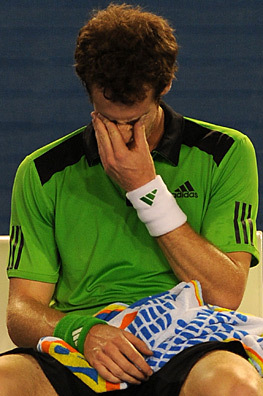 This went on to shatter Murray's hope of being the first British after Fred Perry to hold a Grand Slam title. Djokovic and Murray's final went on to plunder the heavy weights of tennis Nadal and Federer to let go their sucesss to new levels. 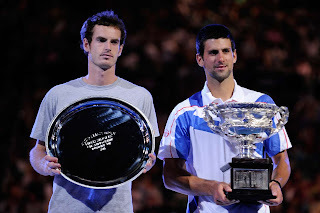 Nadal was denied his Calendar Year Grand Slam or most popularly known to would have been a "Rafa Slam" who was beaten by this country men David Ferrer in the quarter finals, and the defending champion at the Australian open Federer was let go in the semis in a perfect display by the ultimately crowned champion Novak Djokovic. 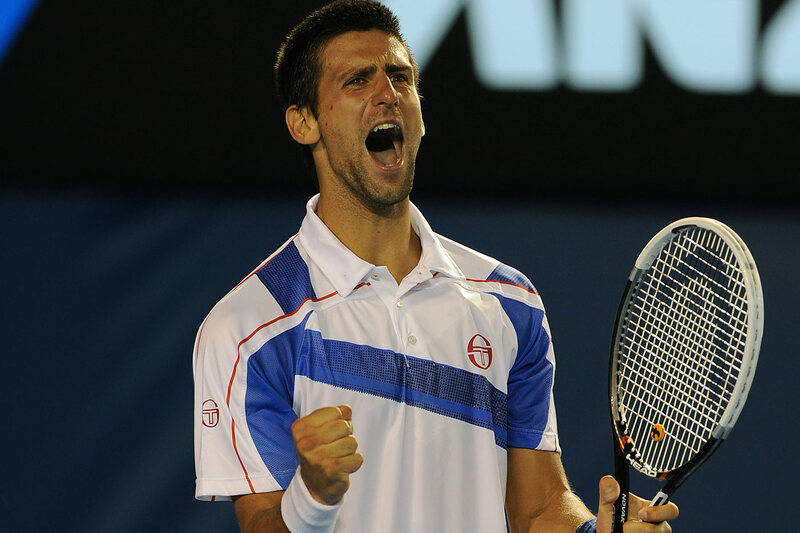 With the Grand Slam win , now Djokovic will be just at striking distance from being at number 2 to replace Federer from his spot. But for now on, on his arrival at Belgrade would be complete celebration as he had on his victory in 2008 at Melbourne.